CLICK HERE TO ORDER YOUR PAPERBACK COPY NOW! In her first book, lifestyle blogger and Christian speaker Ashley Danielle takes us into the depths of her heart as she stumbled through life after having an abortion her junior year of college. She invites her readers to journey with her through the fear and pain which caused her to make a life-altering decision, and welcomes them into the moment she decided to not be consumed by shame but instead swim in God's grace. 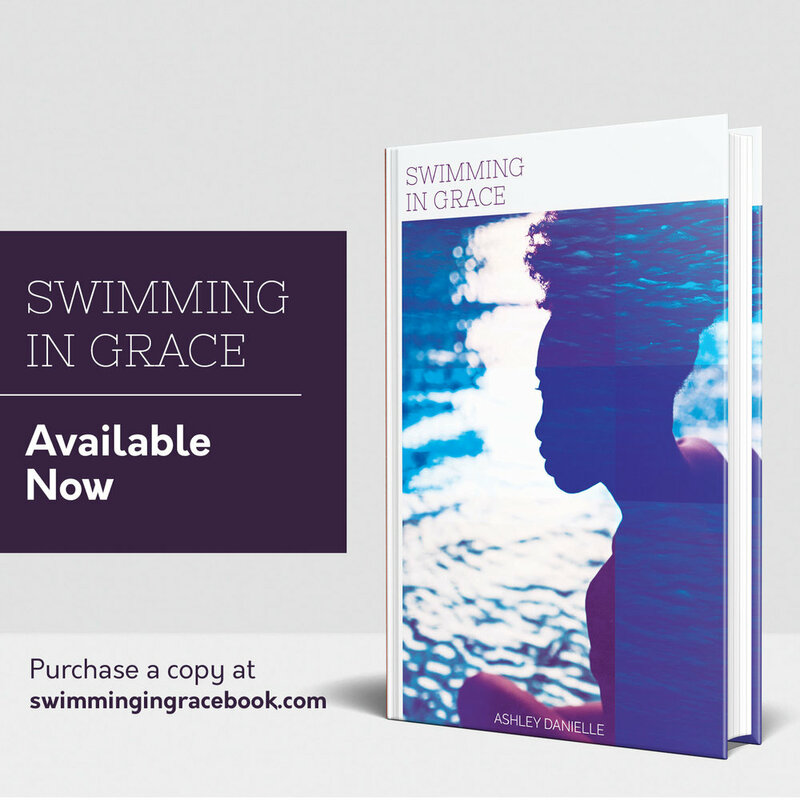 Whether you have had an abortion, know someone who has, work or previously worked in an abortion clinic, or have simply ever felt like you were drowning in the aftermath of a series of bad decisions, Swimming In Grace is worth the read. This book also includes a 7-day devotional that guides its readers through their own journey to personal healing after experiencing an abortion. Perfect for use in a small group or at a women's resource center. Sign up with your email address to be the first to know about new blog posts, and special discounts on books and design services!